We would like Unlimited Web Hosting customers who have VPS Hosting with Plesk licenses to be aware of the following changes. Plesk 10.x and 11.x licenses can no longer be purchased, and on 1st February 2018 they will be completely discontinued. We advise customers to upgrade their Plesk licenses before this date to avoid any problems. We would like to inform you Plesk will discontinue the availability of Plesk 10.x/11.x licenses that differentiate on number of domain support. Effectively February 1st, 2018 these Plesk legacy licenses won’t be available any longer in your KA account. All currently active Plesk 10.x/11.x licenses will remain active and continue to renew on a monthly basis. We’re only disabling the option to create new Plesk 10.x/11.x licenses. Please note that Plesk 10.x/11.x licenses reached EOL status in December 2016: https://www.plesk.com/lifecycle-policy/. In case you haven’t adopted the Web Edition licenses yet, you will have to update your API to Plesk Web Editions: https://support.plesk.com/hc/en-us/articles/213903085-Plesk-available-editions-and-differences-between-them. Be aware of the fact that if you discontinue a Plesk 10.x/11.x by mistake, you won’t be able to create a new license. In case the software version of Plesk is already Plesk 12 or higher, simply replace the legacy license with an Edition license. If the software version is still Plesk 10.x/11.x, please contact your account manager. 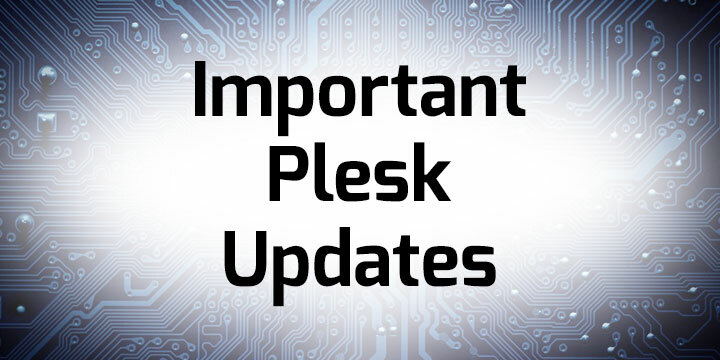 We will be able to provide you with a temporary license to update the server to Plesk 17.5. 1. No EZ template support. 2. No direct upgrades from Plesk 11.x (and older) to Plesk 17.8. 3. No Debian 7 support. • Other methods like container/VM cloning. Supported configurations can be directly upgraded to Plesk Onyx 17.8 via Autoinstaller only, there are no direct upgrades to Plesk Onyx 17.8 available via EZ templates. Limitation: the latest available upgrade via EZ templates can be done to Plesk 17.5. 2. No direct upgrades from Plesk 11.x to Plesk 17.8. The following table provides available upgrade paths from Plesk 11.x to Plesk Onyx. Please note that direct upgrades are possible to Plesk Onyx 17.5 only. We are going to drop the Debian 7 support in Plesk 17.8 because the LTS end of life date of Debian 7 is May 2018. If you have any questions or concerns about the updates, then please contact our support team who will be happy to help.